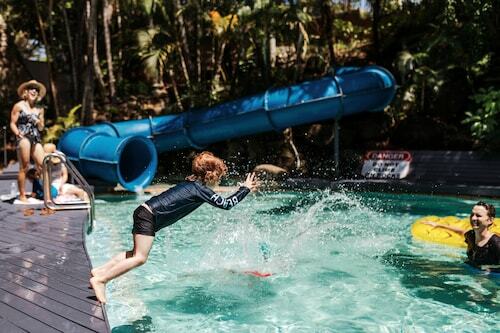 Situated by the ocean, this campground is within 12 mi (20 km) of Kingscliff War Memorial, Tropical Fruit World, and Tweed City. Fingal Lighthouse and Minjungbal Aboriginal Cultural Centre are also within 12 mi (20 km). Cabarita Beach is a popular holiday destination in New South Wales, brimming with things to do and see, and within easy reach of other fine attractions along both the Tweed Coast and Gold Coast. Combine rest and adventure as you enjoy the unique and pleasant atmosphere of this small seaside village. The name of the village comes from the Aboriginal word that means "by the water". 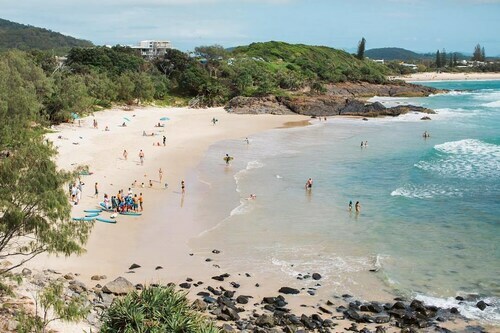 The popularity of Cabarita Beach just keeps growing year after year. Cabarita Beach is a premier spot for surf enthusiasts, and you can ride the waves as they crash onto the shore. If you’ve never tried to surf but are keen to learn, a number of different surfing schools can help you to realise your dreams. Take a whale-watching trip in the migratory season for some excellent up close views. For even more fun on the water, you can enjoy kayaking, canoeing, sailing, and boat trips along the river, as well as terrific fishing. Enjoy long sunny days of swimming and soaking up the sun too, and feel your cares simply drift away as you chill out in beautiful surroundings. There are also huge areas of protected wetlands that are home to a diverse variety of wildlife, and you can spend fantastic days bush walking in the nearby national parks. Mount Warning National Park is a particularly favourite destination. Tropical Fruit World, with its Big Avocado, is also close at hand. Picnic spots and BBQ areas are plentiful, adding to the totally relaxed vibe of Carabita Beach. The weekly markets are great for picking up fresh produce and locally made items. You will find a diverse range of different cuisines in Carabita Beach’s restaurants, and there are also loads of places to grab a quick snack if you’re on the go. 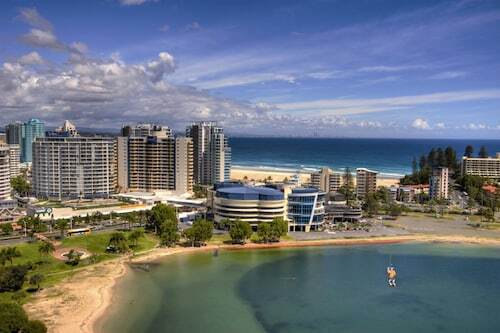 We have flights from a number of domestic airports direct to the Gold Coast. From there it’s just a short drive to the pretty and laid back Cabarita Beach, so book your Cabarita Beach accommodation with us. 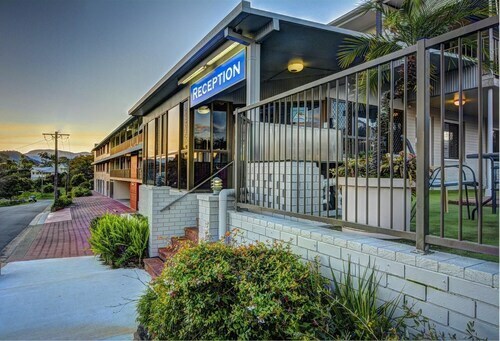 How Much is a Hotel Room in Cabarita Beach? 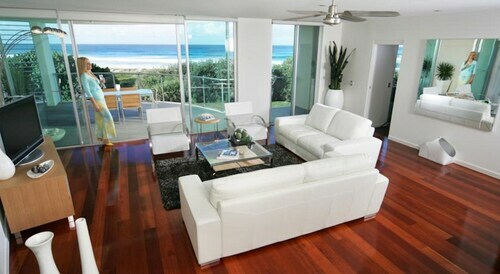 Hotels in Cabarita Beach start at AU$135 per night. Prices and availability subject to change. Additional terms may apply. Very nice place with excellent view. Quiet location. Comfortable beds.